Look here upon this picture, and on this. These images are not separated by years, but a matter of months. You may wonder how the Very Rev’d Professor Martyn Percy, Dean of Christ Church, Oxford, could come to appear so sickly and physically diminished. His rosy cheeks are ghosted; his bright eyes sunk into shaded hollows; the weight loss is alarming. When smiles are forced for the camera and the gaze is blank, something is clearly wrong. Is it cancer? Anorexia maybe? Dementia? Whatever you conjecture, here is a soul in sorrow and bound on a wheel of fire. You might not care because you don’t know him. You might care even less because you know of him and vehemently disagree with him theologically or morally or ecclesiologically or politically. But please set aside your indifference, prejudice or inclination for a moment, and look into the eyes of a broken man, if not a lost soul. Percy’s enemies struck in September after he sought a pay review under gender pay gap rules for college staff. It could have led to a pay rise for a senior female staff member and an increase of no more than £10,000 for him. A news story two weeks ago about complaints against the Dean of Christ Church, Oxford, said the complainants were trying to force him out through a formal complaint about their pay which, we said, was set by the Dean. We have been asked to make clear that the complaint is not concerned with the complainants’ pay, which is not set by the Dean, but in fact arises from issues surrounding how the Dean’s own pay is set. We are happy to set the record straight. No details of the complaint have been made public, but it is believed to relate to an issue of poor governance raised by Dr Percy, including the setting of senior salaries at Christ Church, among them his own. The Dean of Christ Church is being hounded out of office because he wanted to reform an archaic mechanism and throw some light on the “poor governance” of the self-serving body which sets the salaries of College fellows. They objected to his interference, and determined to rid themselves of this meddlesome priest. That is to say, as much of the reporting states, they subjected him to “a hellish bullying campaign” – to the extent that he was forced to take sick leave. Now, bullying is not a case of being shouted at a few times, or having a mobile phone thrown in your general direction, or being occasionally humiliated by one’s superior in front of colleagues. These may indeed be unnerving or upsetting experiences, and undoubtedly constitute forms of harassment, yet the victim can usually move on with a slightly thickened skin of life’s experience: there’s no real harm done. Some people are just terse and unpleasant to deal with, and some even more so. No, bullying is far, far worse than this, emanating, as it does, from a plane of evil which is rarely understood by those who have never been victims of the systematic, chronic, manipulative drip-drip-drip of damaging innuendo and dishonourable inference. Real bullying is when those in power suddenly decide to turn on you with a ferocious determination to destroy your soul and completely eradicate the physical remains. They must ascend, so you will be reduced to nothing. When a person is victimised, undermined and discredited irreparably, with no means of securing justice, the physical, mental, emotional and professional costs are unimaginable. What century is this? What model of jurisprudence underpins this process? How is it possible in this enlightened age of justice and human rights for an Oxford head of house and cathedral dean to be crucified somewhere between the power of Star Chamber and the judicial system of North Korea? All Oxford colleges are independent to a degree, but Christ Church College is particularly independent by virtue of also being a Church of England cathedral with ancient ecclesial statutes going back to 1546. 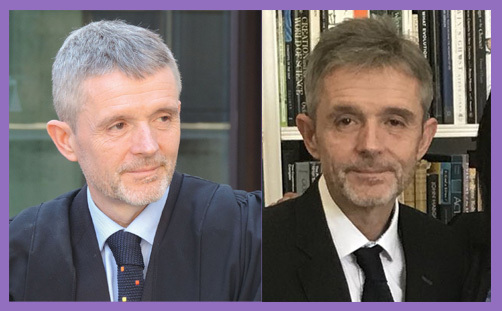 Martyn Percy is simultaneously an academic head of house and an Anglican dean, with the moral and professional responsibility for ensuring the employment rights of all those who work in both the College and the Cathedral. But to whom does the Dean turn when his Governing Body smears his good name with the epithets of immorality, scandal and disgrace? To whom does he appeal when procedures are rigged to a pre-ordained outcome? How may he secure natural justice when the Governing Body of Christ Church is determined to deny him access to free speech? And that is not ‘free speech’ in the sense of the human right to speak free from academic or ecclesiastical control, but ‘free speech’ in the sense of free from pecuniary cost, because the primary and only apparent means of justice open to the Dean is an internal tribunal. He has been bombarded with months and months of legal and quasi-legal letters, each of which has necessitated a forensic legal riposte, and this obviously takes its toll emotionally and financially. If the Governing Body can’t break him psychologically and physically, they bankrupt him. And while they’re harassing him with their threatening letters, the Dean is subjected to a constant stream of slanderous whispers: immoral.. scandalous.. disgraceful.. His reputation is trashed in the College and national media: the objective is total professional destruction. And if ‘immoral’, ‘scandalous’ and ‘disgraceful’ don’t work, there will be vicious rumours about his mental stability or character suitability; and they will conveniently adduce witness statements to that effect from colleagues (or people he thought were colleagues) who suddenly decide they had a problem with his ‘management style’ all along, so they conspire to get him dismissed for gross professional misconduct or for bringing Christ Church into disrepute. There’s just no beating the bully – especially when it’s the body which sets people’s salaries. And so you knock back cocktails of valium and zopiclone, or maybe temazepam and sertraline. The combination ceases to matter, and so does the quantity. Anxious, stressed, sweating, isolated, lonely and crying uncontrollably, you try to sleep, but you can never quite get past 3.00am. So you lie there weeping, praying, drifting for maybe two more hours. But the 5.00am chorus sounds, and it’s harder to stay under the duvet than it is to face another day of hollow existence. On the brink of a complete breakdown, you question the worth of your life as you begin to entertain the veracity of the lies and doubts circulating about you. Last week Percy was suspended as dean of both college and cathedral, even though the complaint relates only to his college duties. The action means he is banned from presiding over services at the cathedral in the run-up to Christmas, one of the busiest and most important times of the year. Deeply regrettable? No kidding. How can a constituent college of the University of Oxford not be compelled to ensure natural justice for all of its employees? If a college has the right to award prestigious Oxford degrees, oughtn’t it at the very least be obliged to advance human rights and ensure natural justice? Audi alteram partem (‘listen to the other side’) is a basic legal principle that no person should be judged without a fair hearing in which the accused is given the opportunity to respond to the evidence presented against them. Why does the Dean of Christ Church have to spend thousands of pounds trying to elicit this evidence? Why does he have to pay even more thousands to present his case in a tribunal? Why is this internal tribunal – the date for which still has not been set – his first opportunity to respond to the allegations against him? It is, of course, intrinsic to the bullying strategy: isolation, intimidation, denigration, humiliation, manipulation, degradation. The hope is that Martyn Percy will give up long before this reaches a tribunal where he can defend himself; perhaps accepting a generous payoff and signing a non-disclosure agreement. That would be helpful and beneficial for all concerned, would it not? A GoFundMe page has been created to support the Dean, and it presently stands at £43,010. He is manifestly loved, and his ministry is deeply appreciated by many hundreds of people. He can find some solace in this: he is not alone, though he might feel it. But £43K won’t be the half of it when the bullies are sitting on £500 million. Please help if you can; if you care.